Studying Doctor of Medicine (MD) degree in Philippines is similar to doing MBBS course from India medical colleges. MD in Philippines is recognized by Medical Council of India as equivalent of MBBS course In India. After completion of M.D Course from Philippines, students need to clear MCI screening test before they start practice in India..
Medical program offered in Philippines follows American standard of education and recognized by WHO (World Health Organization), FAIMER – IMED (Foundation for Advancement of International Medical Education & Research) & MCI (Medical Council of India). The Tuition Fees for medicine program in Philippines are very affordable, even middle class family from India will not find it hard to afford. Philippines medical colleges do not charge any capitation fees or donations. Why University of Perpetual Medical College? 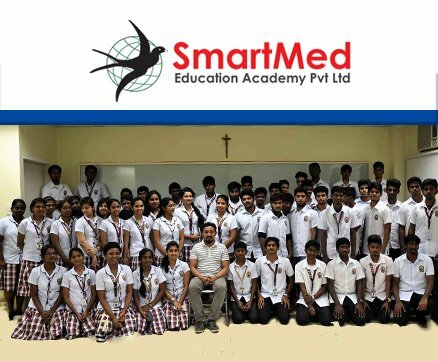 SMARTMED EDUCATION ACADEMY through our partnerships with leading service providers can take care of all your travel needs including air ticketing, foreign exchange and travel insurance. Perpetual Medical college – University Of Perpetual Help System DALTA was founded on February 5, 1975. It has 3 major campuses in Las Pinas, Molino and Calambaa with student population of around 15,000 students and employs about 1,500 teaching and non-teaching staff. I wish to thank all teachers and the entire team at work for bringing me so much closer to the fulfillment of my dream. I was not aware of the options of studying medicine at such low costs and that admission could be so hassle free. I did not want to learn any new language and thus Philippines was a great choice for me. Thanks for bringing it to light. Don’t just get to learn about medicine but also have a great scope to open my mind up to so many things by interacting with girls and boys of my age from different parts of the world. It is really a wonderful experience.